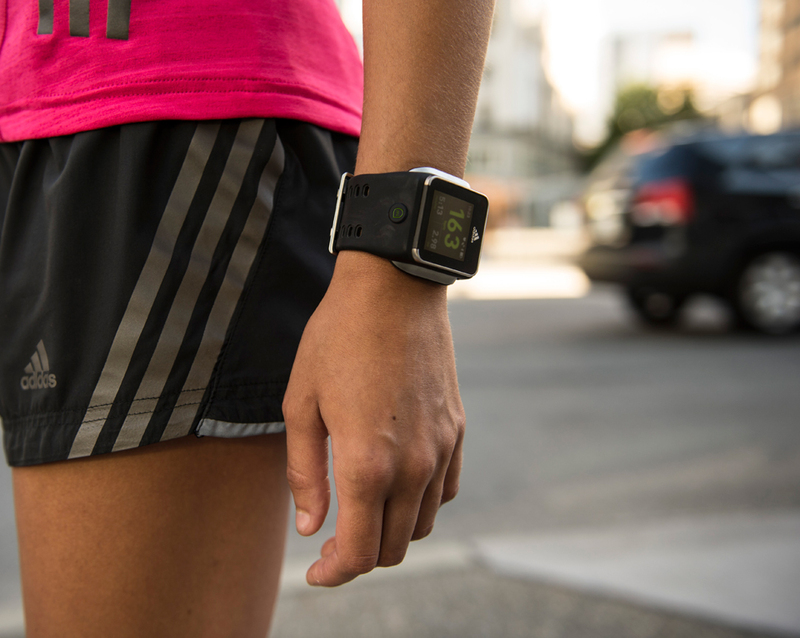 An Android smart watch for runners with GPS, accelerometer and Bluetooth. 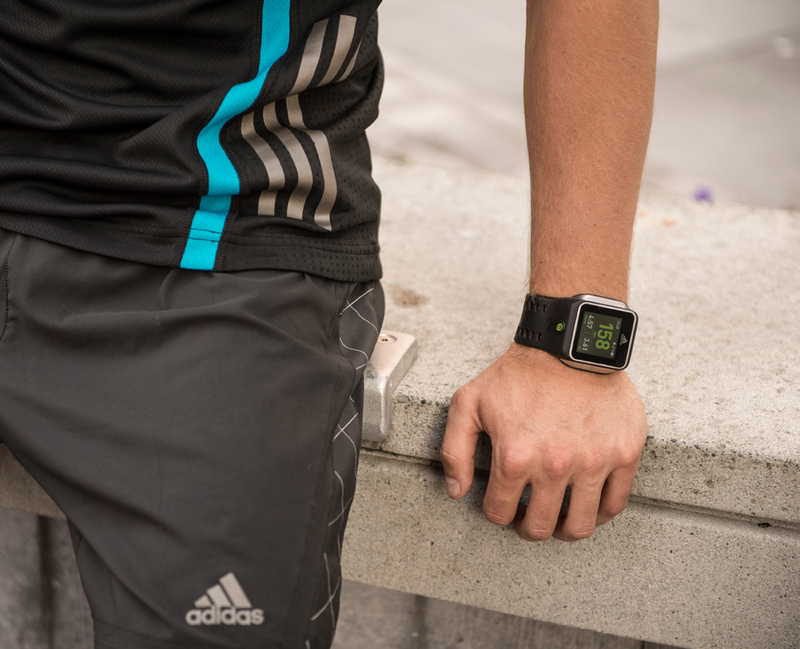 It can be set to measure your heart rate, pace, distance, stride and route. 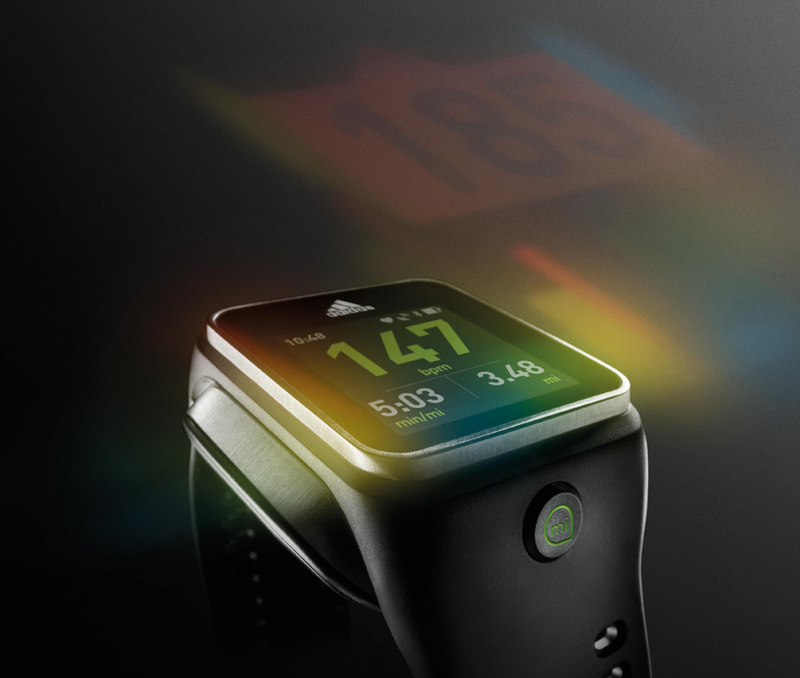 It also works as a watch, timer and mp3 player. Drops 11/1/13 for $399 on Adidas.